Activists are taking a government agency to court over its refusal to release blacked out documents related to plans for a huge mining scheme off the South Taranaki coast. 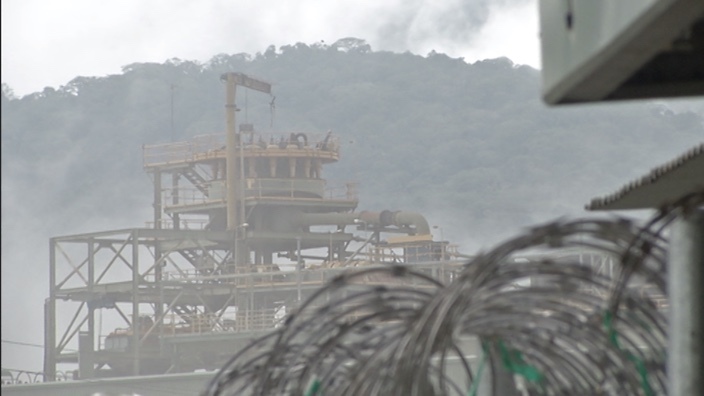 The Environmental Protection Authority (EPA) has stood by its decision to allow parts of an application by Trans Tasman Resources (TTR) to remain confidential. The company wants to mine 50 million tonnes of sand from a 66 square kilometre area in order to extract iron ore. But it has kept hundreds of pages blacked-out in its consent application to the EPA. Kiwis Against Seabed Mining (KASM) chair Phil McCabe said the group would filing proceedings with the Environment Court against the EPA on Friday. A public submission period is currently underway for people wanting to have their say on TTR’s application, its second since the EPA rejected an earlier effort in 2014. At that time the EPA said the environmental impact of mining was still unknown. KASM has made a submission to the EPA to reveal the documents, but the authority ruled on Wednesday they would be kept under-wraps to preserve the commercial sensitivity of the information. Kasm delivered a 6000+ signed the petition calling for a moratorium on seabed mining to parliament in September. “It’s not a good decision, this is meant to be a public and transparent process,” McCabe said. TTR has maintained that the information contained within the redacted sections was commercially sensitive and the EPA’s decision making committee (DMC) chair Alick Shaw agreed. “The DMC remains satisfied that an order protecting the sensitive information is necessary to avoid disclosing a trade secret or avoid causing unreasonable prejudice to TTR’s commercial position,” he said. People wanting to view the confidential sections can sign an agreement with TTR, but McCabe said it was unrealistic to expect thousands of people to sign. “It’s hardly confidential anymore anyway if that were to happen,” he said. At present several organisations, such as the Iwi Fisheries Forum, DOC, Fish and Game NZ and the Taranaki Regional Council have all signed the agreement, but affected iwi have stonewalled any consultation with the company, including signing the agreement. A TTR spokesperson said the company could not comment on the EPA’s process and had nothing to add. A new US company says it has signed an agreement with the Cook Islands granting it rights to prospect and explore the country’s seabed for minerals. In a statement the Texan company Ocean Minerals said it had secured exclusive access to parts of the seabed within Cook Islands exclusive economic zone. The company said it believed these areas contained sediments enriched with rare earth elements. It said this was based on research conducted by the Houston-based Deep Reach Technology Inc. on existing archived samples throughout the Pacific. 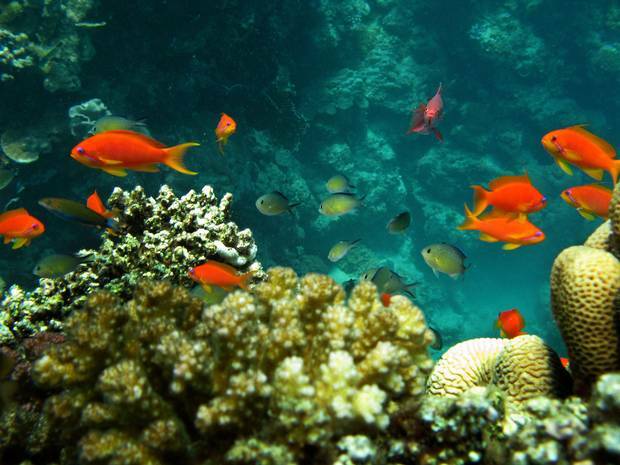 Ocean Minerals said it plans to undertake several phases of seabed sampling over the next few years which will incorporate the collection of environmental baseline data. In July the Cook Islands Investment Corporation’s chair, Mike Henry, signed a contract with the United Nations’ International Seabed Authority giving it exclusive mineral rights to an area of 75,000 square kilometres in the Clarion Clipperton Fracture Zone. The 7,240 km long mineral rich zone extends over millions of square kilometres in the north Pacific. Cook Island News also reported that a joint venture agreement was also signed with Belgian company, GSR, giving it the possibility of exploring and exploiting the Cook Islands ocean floor minerals. The Texas Limited Liability Company Ocean Minerals was formed in 2016 and is focused on developing the Rare Earth Element enriched sediment resources in the Cook Islands EEZ. Taranaki iwi leaders are claiming a seabed mining company is being deliberately misleading in its application to extract tonnes of iron ore from the region’s seabed. All eight Taranaki iwi said they’d support Ngati Ruanui in its submission against mining company Trans Tasman Resources (TTR) at an iwi chairs forum several weeks ago. The company has for the second time applied to mine 50 million tonnes of sand from 66 square kilometres of South Taranaki’s seabed after its previous application was rejected by the Environmental Protection Authority in 2014, partly because of the company’s lack of consultation with iwi. Now two of the main iwi affected by the repeat application have said consultation has not only been sub-par but they have accused the company of misleading the public, and the government, about the process. Nga Ruahine and Ngati Ruanui said TTR had used an organisation called the Iwi Fisheries Forum as an umbrella organisation to represent the views of Taranaki iwi affected by its application. Te Korowai o Ngaruahine Trust’s general manager Cassandra Crowley says the Iwi Fisheries Forum does not have mandate to speak on their behalf. 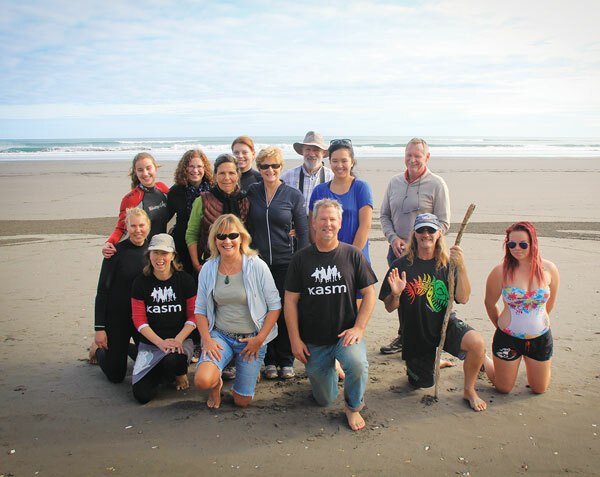 The Iwi Fisheries Forum, or Te Taihauauru, was initially set up to support iwi customary fisheries management but does not contain members from Taranaki iwi. However, a spokesperson for TTR said it had reached out to all affected iwi and its attempts to engage had been either rebuffed or ignored. “Our engagement with iwi through the Iwi Fisheries Forum was an additional mechanism to engage with iwi; at no time has it substituted any one-on-one discussions with any stakeholders,” they said. Ngati Ruanui holds mana whenua for the South Taranaki Bight, meaning the area is of huge cultural significance to its members. It is the primary iwi that TTR would need to consult with in regard to its mining activities. However, kaiarataki of Te Runanga o Ngati Ruanui, Debbie Ngarewa-Packer said TTR had made their application look as though it had consulted with iwi through its references to the fisheries forum. “The thing is, that body is not legally mandated to represent iwi,” she said. “We think they’re deliberately misleading the government that they have iwi mandate. Ngarewa-Packer said Ngati Ruanui shut down negotiations with the company after they wouldn’t release certain information about their application without the iwi having first signed a confidentiality agreement. The Environmental Protection Authority accepted TTR’s submission of confidential sections of their application, and on Wednesday announced they would remain confidential despite Kasm calling for them to be made public. General manager for Nga Ruahine, an iwi whose territory borders Ngati Ruanui, Cassandra Crowley, said TTR had also asked them to sign the confidentiality agreement. “We were prepared to sign it right up until we actually saw it as we were led to believe it was a standard non-disclosure agreement protecting commercially sensitive information, but this went beyond that,” she said. 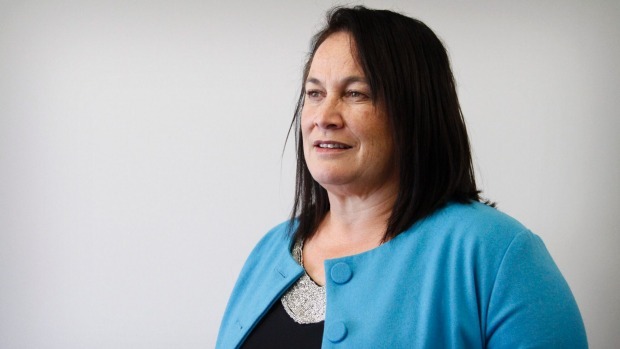 Crowley said TTR’s engagement had “left much to be desired”, especially with TTR engaging with the Iwi Fisheries Forum in what she believed was a substitute to dealing with Nga Ruahine. “It is not a forum which is mandated by us to speak on our behalf in this way,” she said. The Ministry of Mines, Energy, and Rural Electrification today released the draft National Minerals Policy for public consultation. The policy sets out the Government’s vision for the mining sector. It aims to balance investor confidence with respect for landowner and community rights. A government statement says, under the policy, mining discussions must happen in the impacted community and community bodies such as chiefs, churches, and other groups are encouraged to oversee these negotiations to make sure that everyone is included and able to participate in discussions. It says chiefs will also be responsible for identifying landowners under the new policy. Landowners claiming rights to mining revenue will need to have their claim verified by their Council of Chiefs before receiving any royalty or compensation from the mine. Landowners, communities, and provincial governments will also need to agree on a development plan that explains how they will spend their share of the mining revenue. The money will be deposited in an account managed by the community or landowning group – not an individual bank account. An Oversight Committee will be responsible for making sure the money goes where it is rightly due. Meanwhile, companies will benefit from a more attractive prospecting and mining environment that allows for increased tenement areas and other tools to make community and landowner negotiations easier and more transparent. Both companies and the government will be required to provide detailed reports on where they receive money from, and how this money is spent, encouraging greater transparency in the mining sector. There is also an increased role for Provincial Governments, especially in the area of artisanal mining. The policy was developed by an Inter-Ministry Taskforce comprising representatives from the different sectors responsible for regulating the mining sector, including the Ministry of Finance and Treasury, Ministry of Environment, Climate Change, and Disaster Management, and the Prime Minister’s Office. Similar attacks on environmental defenders are mounting throughout Central and South America. The Denver-based Newmont Mining Corporation was hit with negative press last week following reports that its Peruvian subsidiary sent security forces to attack the prominent indigenous environmental defender Máxima Acuña de Chaupe at her remote farm in the northern Andean highlands. Now, the mining giant’s latest public relations campaign to defend its use of force against the Chaupe family, including the destruction of their crops, is provoking fresh outcry from human rights and environmental organizations. Máxima attracted international acclaim—and a Goldman Environmental Prize — for her years-long resistance against the Yanacocha mining company, which is 51.35 percent owned by Newmont and has waged a relentless campaign to transform her plot into the open-pit Conga gold and copper mine. In retaliation for her refusal to sell her land to Yanacocha in 2011, Máxima says she has endured a steady stream of intimidation, harassment and surveillance, alongside an ongoing legal campaign to drive her family from their home of more than 20 years. The mine is widely opposed by peasants and workers in the region, who have staged mass protests and general strikes to resist the project. Yesterday morning, at 9:30 am, personnel and security forces working on behalf of Minera Yanacocha, forcibly entered the Tragadero Grande property where the Chaupe family reside and used farm tools to aggressively alter the crops that the Chaupe family had planted on the land. The security forces then formed columns to block Máxima Acuña and her husband Jaime Chaupe from approaching the men who were uprooting their crops. When Máxima and her husband attempted to approach the men to interrupt the invasion and the destruction of their crops, the security forces attacked Máxima and Jaime with their shields and the butts of their firearms. When Jaime went into the house to retrieve his camera to document the abuses, the security forces severely injured Máxima by blows to her head and body. In the wake of the attack, Máxima and Jaime did not have access to a working cell phone and were unable to call the police to report the attack. Some hours later, a police delegation arrived from Huasmín around midday as a part of a regularly scheduled visit. The Huasmín police delegation lent the Chaupes a cell phone, which Chaupes alerted their family members. Máxima was then taken in a car to Cajamarca where she was treated in the hospital. Ysidora Chaupe, Máxima’s oldest daughter, confirmed these injuries to Amnesty International. Human rights and environmental organizations immediately condemned the alleged attack. “Minera Yanacocha must immediately stop their harassment of Máxima and her family, denounce attacks like this one, and call on its employees, agents and all others to ensure her safety,” said Jennifer Krill, executive director for Earthworks, in a press statement. In an attempt to clear the company’s name, Newmont’s communications department released a video which it claims proves that “at no time did any member of the security team or Yanacocha retaliate or attempt to strike the Chaupes.” The footage can be viewed below. In the confrontations shown in the footage, Jaime and Máxima are vastly outnumbered and seemingly powerless to stop the individuals shown destroying their crops. But perhaps most troubling are the stretches of time in which Máxima cannot be seen onscreen. This is not the first time Máxima says her family was attacked. She reported in January 2014 that she received an anonymous death threat over the phone, as well as a home visit from police ordering her to stop farming her land. Since then, she says there were at least three incidents in which police and/or private security forces have either destroyed her crops, damaged the infrastructure of her home or physically intimidated her and her family. BULOLO district in the Morobe Province has a lot to offer and one such is the Small Scale Mining Training Centre at Wau. This activity has now attracted interest from Goilala MP William Samb to send people from his electorate to attend courses offered by the institution. This mutual relationship with Bulolo MP Sam Basil for both districts to work together in the name of bringing tangible development to its people. 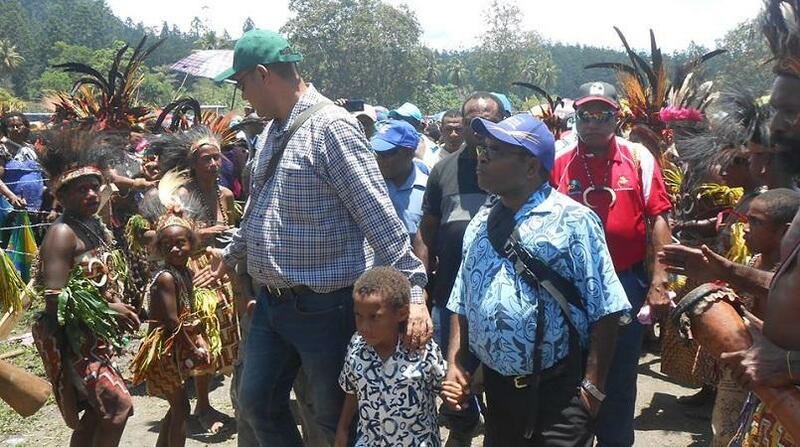 Goilala MP Samb officially opened the 6th Bulolo District Show on Saturday and a few hours later was on the road to Wau to see for himself the training centre. He was accompanied by members of his Goilala District Authority who used the opportunity to see other projects run in Basil’s district. Samb said while both electorates share the same boundary, there was a lot to learn from the Bulolo district and one such was the alluvial mining and training his people was paramout. He was given a tour around the training centre and was impressed by the set up adding he would not waste time now but to see the first batch of students to come start training next year. The training facility wholly funded by Mineral Resources Authority was established seven years ago and is the only training centre in the Southern Hemisphere according to training coordinator Samuel Leonarhd. Leonarhd said the centre offers courses equivalent to TVET in certificate in Small Scale Mining which includes basic background information on small scale mining, introduction to law governing SSM in PNG, introduction to geology, simple gold mining and processing techniques, environmental issues, occupational health and safety, mercury, economics of small scale mining, social issues in personality and gender issues, HIV/Aids. He said the courses come in level one, two, three and four with also extension and outreach programs offered. Leonarhd said the centre was established in 2009 and its aim was to empower small scale mining alleviate poverty, reduced unnecessary deaths, awareness on safety practices. Kasm’s Phil McCabe says the redacted pages in Trans-Tasman Resources application should be released to the public. 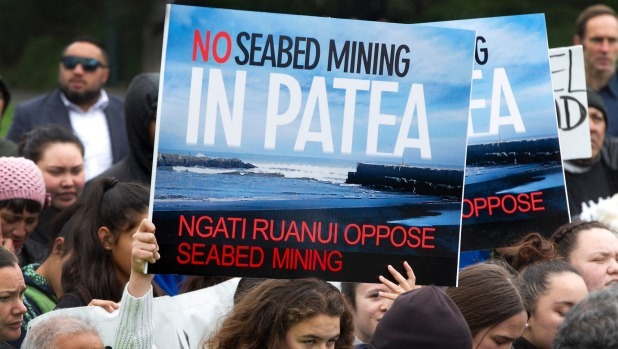 Trans-Tasman Resources has applied to the Environmental Protection Agency to mine 50 millions tonnes of ironsand a year off the coast of Patea. Opponents of a proposed seabed mining operation in Taranaki are demanding the release of blacked out pages in its resource consents application. Kiwis Against Seabed Mining (Kasm) chairman Phil McCabe said it was unacceptable that the company’s application was shrouded in secrecy. Trans-Tasman had a similar application turned down in 2014 because the EPA decided not enough consideration had been given to the environmental affects of the operation. Mr McCabe told a small gathering of supporters in New Plymouth last night that the lack of transparency in the firm’s latest bid was disturbing. The mining opponents fear life on the affected seabed will be destroyed and the plume created by mining will be detrimental to all marine life in the area, including foraging blue whales. Mr McCabe said there was nothing new in the current application apart from the blanked out pages. South Taranaki iwi Ngati Ruanui is also opposing the project. Its kaiarataki, Debbie Ngarewa-Packer, said Trans-Tasman Resources was demanding that anyone wanting to see the redacted material sign a draconian confidentiality agreement which prevented getting outside advice on the contents, meaning access to the pages was meaningless. Ms Ngarewa-Packer said Ngati Ruanui was very concerned about the application and had the backing of all Taranaki iwi. “It’s damn alarming when they have to put 40 plus pages into redaction … basically blacked out. In a statement, Trans-Tasman Resources said it was not being deliberately obstructive. “A small proportion of the reports are confidential because its commercial and operational information; all of the redacted information is highly technical. The company said it wanted everyone benefit from project that would create 1600 jobs, 700 in the region, and generate export earnings of more than $300 million a year. Public submissions on the project close on 14 October.